Castle Group | Property Operators/Developers | Property Services | Real Estate Agents - Domestic | Residential | Residential Building Construction n.e.c. Castle Group offers innovative, bespoke solutions to the challenges of 21st century construction. We understand the needs of a new generation seeking green, smart, striking and highly functional buildings which sit comfortably in our built environment. Australia-wide, Castle Group brings a refreshingly holistic approach to projects of every style, scale and complexity – ensuring an integrated development with excellence in-built at every stage. Covering every aspect of construction, finance, planning and management, Castle Group takes major residential and commercial projects from conception to final product. Castle Group has built its foundations on large-scale construction projects for the mining industry, having delivered over 8,000 rooms for companies such as Chevron and Fortescue Metals (FMG). 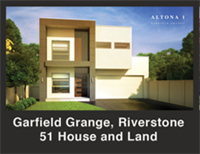 In 2013, the Group shifted focus to land development and started acquiring large parcels of land in Sydney's Northwest: Rouse Hill, Riverstone, Schofields and Kellyville; with the goal of applying previously attained experience and knowledge to deliver high-quality residential developments and lifestyle communities.